It’s Getting Hot in Here What’s the Best Temperature for Your Ferret? The Thermal Neutral Zone (TNZ) is the range of temperatures where an animal’s body temperature does not rise or fall because of the environment. The TNZ is a range of values — a zone — representing a lower and a higher temperature. At the low end of the TNZ is the coldest temperature at which the heat lost to the environment is equal to the heat produced by the animal’s metabolism. At the high end of the TNZ is the highest temperature that does not cause an increase in body temperature. An animal’s TNZ is different for various activities, e.g. the TNZ for a sleeping animal is different than the TNZ for the same animal while running or playing. Below the TNZ is something called the lower critical temperature (LCT) at which point the animal will become cold-stressed and, for example, develop hypothermia or frostbite. Above the TNZ is the upper critical temperature (UCT), at which point the animal will become heat-stressed and, for example, develop heat exhaustion or heat stroke. TNZ is intimately connected to the basal metabolic rate (BMR), the estimated calories burned if an animal did nothing but rest for 24 hours. This is the lowest rate of metabolic activity needed to keep the animal’s body functioning. The metabolic rate of the same animal will be higher (typically much higher) if the animal is doing anything other than resting. Burning calories is literally burning energy using oxygen (an oxidation reaction) in much the same way that wood burns to cook hot dogs when barbecuing. The body doesn’t catch fire like wood because it uses various enzymes to lower the heat-of-reaction requirements so that oxidation reactions can take place within a normal body temperature. However, heat is still produced when your body burns calories. This is why humans get hot and sweaty when they exercise and you can even get heat exhaustion or heat stroke if you exercise long enough and don’t do anything to cool your body down. Because burning calories produces heat in the body, the TNZ for an active body will typically be cooler than the TNZ for a resting body. However, a resting body is still burning calories, pumping a heart, working the lungs, possibly digesting food, etc. This means the body is always producing heat, just less of it when at rest. If you are sleeping within a human’s resting TNZ, you will neither gain nor lose body temperature because of your environment. If you are resting in a temperature colder than the TNZ, then your body kicks into action, either motivating you to snuggle under a blanket or burning more fuel to keep you warmer, like by shivering. Conversely, if you sleep in temperatures higher than the TNZ, then you will get too hot while sleeping and expend energy cooling your body down. The TNZ for humans in an air-conditioned home is approximately 18-22 ℃ (64-72 ℉). Because humans tend to be rather species-centric, we usually assume all our pets have TNZs similar to ours. In addition, we may not think about the fact that our home’s temperatures are reported at thermostat height, so temperatures at the floor (where most animals live) may not even be considered by pet owners. But pets have TNZs that are often quite different from ours. The TNZ for dogs is 20-30℃ (68-86 ℉), so while our homes are probably comfortable for larger breeds, they are probably a bit chilly for the smaller ones. Cats, on the other hand, have a TNZ of 30-36℃ (86-97 ℉), meaning they probably find human homes pretty cold. Unfortunately, no one has published a peer-reviewed study defining the TNZ for ferrets. Despite this lack, we can infer an approximate range. Because the TNZ for a human is lower than a dog, which is lower than a cat, which is lower than a mouse, it appears that the smaller the animals, the higher the TNZ. That is, larger animals with lower BMRs require cooler temperatures and smaller animals with higher BMRs require higher temperatures. Because of this, it’s fair to assume that a ferret’s TNZ would be several degrees higher than a cat’s. This means most homes are colder than what is required for ferrets to maintain their body temperature while sleeping. This may explain why ferrets tunnel into our furniture, rip out insulation, sleep under bags and blankets, and pile into heaps of furry snakes. How cold a house is may even cause ferrets that don’t really get along to sleep together to conserve warmth. We may be exacerbating this issue with ferret cages. We tend to design and use cages that are convenient for us: Open wire walls, plastic floors, open spaces, and few places that allow for the conservation of heat. 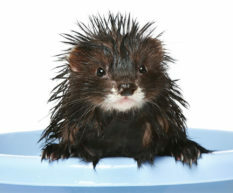 While these features make it easy to clean the cage and observe our ferrets, cages typically do not hold heat very well. So cages with these characteristics in a cool house will result in cold ferrets. This may even impact their health and behavior, possibly causing symptoms that could be mistaken for some other condition. Healthy ferrets kept at a temperature lower than their TNZ may sleep more and deeper, eat more, be less active, and have less strenuous play. You might ask yourself if you’re feeding them the wrong food, or if they’re bored, or if they’re stressed about their cage, but really, they just might be cold! 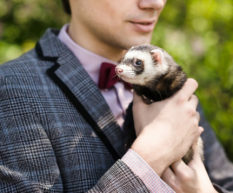 And ill ferrets, like those with adrenal disease or lymphoma, probably require a warmer temperature than healthy ones. 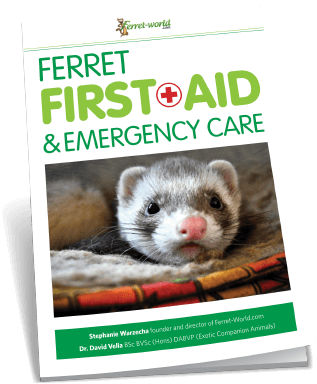 This means that the same temperature that may just make a healthy ferret uncomfortable may exacerbate the condition of an ill ferret. No one wants to live in an overheated house, but there are solutions for keeping your ferret warm that don’t involve setting your thermometer higher than what’s comfortable for you. Instead, give your ferret plenty of spaces to stay warm. Nest boxes filled with warm, downy materials are great for this, as are deep and spacious sleep sacks, folded blankets, and reptile heating stones for ferrets (especially ill ones) to sleep next to. You can move a cage away from windows (they can be drafty) and nearer to heating vents in the winter and closer to sunny, uncovered windows in the summer. You can stop drafts with door socks and even bring the cage down to a warmer basement or garage during the winter. The simplest solution is to provide a variety of thermal spaces for your ferret so that it can seek cooler areas when it’s hot and warmer areas when it’s cold. Any mammal is used to doing this and your ferret will do it instinctively. The bottom line is, whatever the TNZ is for ferrets, it is much higher than for humans. It is at least as high as for a cat (which is 30-36 ℃ or 86-97 ℉) and is probably higher. 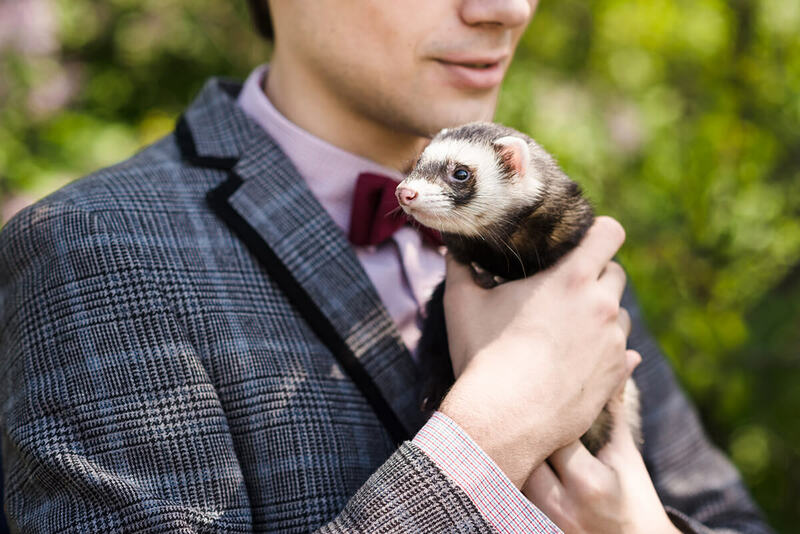 Design your ferret’s home based on that assumption and you should increase the comfort of your pet–and perhaps its health and activity as well! 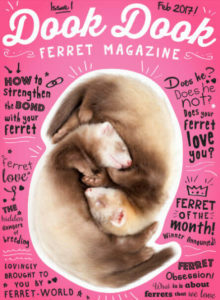 Many readers might point out that ferrets get heat-stressed when in warm environments. I’ve personally seen ferrets become heat-stressed in temperatures around 32 ℃ (90℉), so how can their TNZ be 30-36℃ (86-97 ℉)? Well, we don’t know the exact TNZ for ferrets. 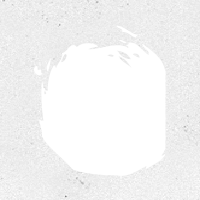 It could be lower than cats, bucking the pattern, the range may be extremely narrower, or even a combination of the two. However, I will say that I’ve put a thermometer probe into a mass of my sleeping ferret piles and the temperature was 36 ℃ (97 ℉). They showed no signs of heat stress. I suspect one problem is the confusion of air temperature compared to the temperature in direct sunlight. (You may have heard this called “heat index,” which indicates what a temperature “feels like” because of humidity and other factors.) 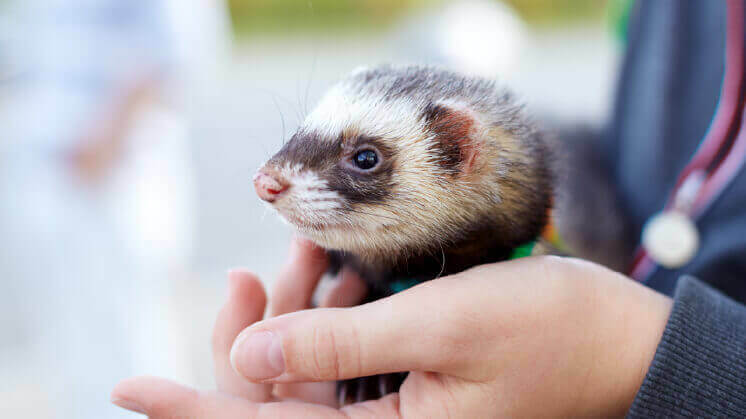 This means that when a ferret is outside and the thermometer says 26 ℃ (80 ℉), the heat index may be over 38 ℃ (100 ℉). 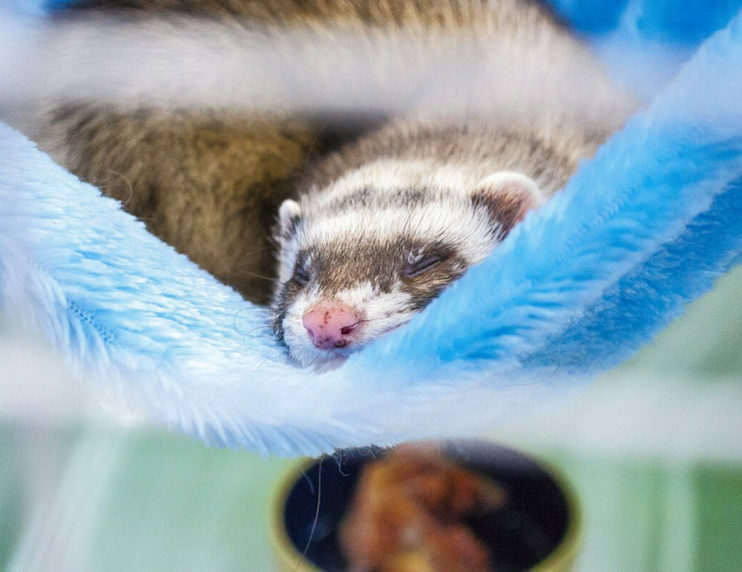 Plus, ferrets spend much of their time in their cage sleeping, when their body temperature is lower, whereas they often get heat stress outside, when they are more active and their body temperature is higher. 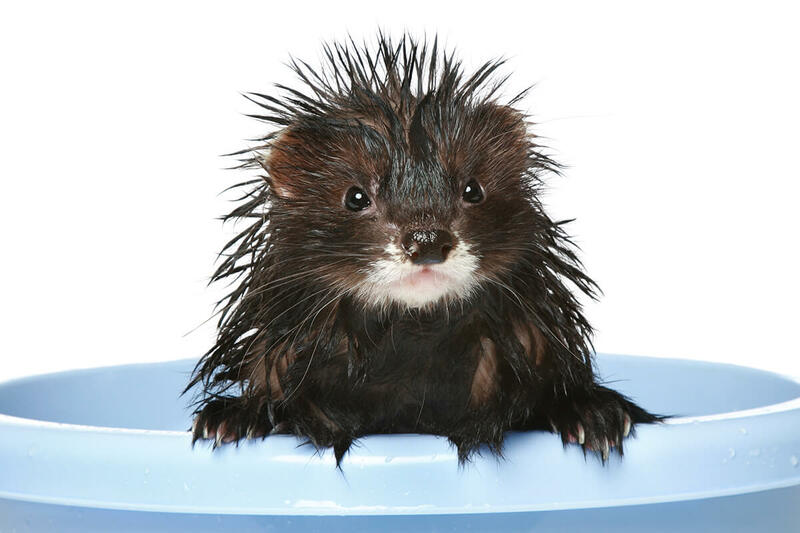 Regardless, until we know the TNZ for ferrets, we can’t say anything conclusive about overheating in ferrets. This is why my advice is to provide your ferrets with lots of options.